Youth Ministry – Will announce soon about this ministry. If you want to join, contact the parish office. Adorers/Chapel – The adorers are responsible for “sharing” the hours in front of the Blessed Sacrament as our chapel is open 24 Hours as day. If you would like to be an adorer please contact the parish office. Altar Servers – The servers are a group of young people from grade 4 to university age who would like to assist the priest during the mass. If you are an interested youth or would like to find out more information please contact the parish office. Altar Society – The altar society helps in cleaning the parish as well as keeping the chalices, ceboria and other mass items clean and ready for use. If you would like to join this group, please call the parish office at (416) 247-0513. Catechism – Transfiguration Parish is unique as parishioners help with the instruction and education of young people wanting to make their First Communion or Confirmation. If you would like to become a catechist, please contact the parish at (416) 247-0513. If you would like more information on the First Communion or Confirmation program please contact the parish office in September when registration begins. If you are an adult, you would need to take an RCIA program to be confirmed. Contact the Archdiocese at (416) 934-0606 for more information. Catholic Women’s League – If you would like to join the Catholic Women’s League, please call the parish office at (416) 247-0513.The Catholic Women’s League of Canada is a national organization rooted in gospel values calling its members to holiness through service to the people of God. Children’s Liturgy – Children’s Liturgy is actually the Liturgy of the Word for Children. We cover the Gospel of the day at a level the children can understand and enjoy. We enrich this with discussion, prayers, songs and plays. We also try to raise awareness of God’s love, the humanity of Jesus, the Seasons of the Church, the understanding of symbols in the Mass and the context of the Bible. Children’s Choir – The children’s choir sings during the 10:30 a.m. Sunday mass. Club 55 – This group runs programs for those in the parish 55 and up. Eucharistic Ministers – This group helps with the distribution of Communion during the masses on the weekend. If you would like to join this group, please approach one of the priests at the beginning or end of mass. Italian Social Committee – The committee helps organize functions for the Italian community as well as the community at large. Check the bulletin to see upcoming events. Lectors – The lectors help with the readings in the parish on a weekly basis. If you would like to join the lectors, please contact the parish office at (416) 247-0513. Outreach Program – The outreach program is formed of parishioners willing to make a casserole once a month. These then get delivered downtown to the Good Shepherd Refuge to help with the less fortunate. If you would like to be a part of this program come by the office to pick-up a calendar with drop dates, recipe and pan. Parish Pastoral Council – The council is elected by the parish and has a two year term. They help the pastor of the parish make informed decisions about requirements or programs within the parish. St. Vincent de Paul – The dedicated committee within the group helps with the less fortunate in the community. If you require help and live within the parish boundaries, please contact the parish office at (416) 247-0513. Ministers of Hospitality (Ushers) – Minister of hospitality is a group of people within the church community who welcome all people without distinction, with genuine warmth, joy and graciousness. They assist in the many activities as may be required or directed by the Pastor. They welcome parishioners and visitors to the celebrations and ensure the congregation is seated. They distribute weekly bulletins, also programs or song sheets as may require. 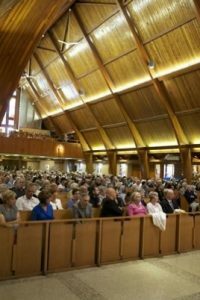 They are also responsible for arrangements for the offertory with and the assistance of the parishioners and for St. Vincent DePaul society’s collection box after the celebrations. 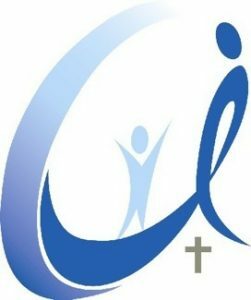 Rite of Christian Initiation of Adults (RCIA) – RCIA is a group of parishioners who form RCIA team that consists of Director, Catechists, Sponsors and Hospitality Ministers. The RCIA is a process for the unbaptized who seek to be prepared for full initiation into the Catholic Church through Baptism, Confirmation and Eucharist. This process also includes those who were baptized in other Christian traditions but now wish to be in full communion with the Catholic Church. They will not be baptized again but will make a Profession of Faith and be confirmed in the Catholic Church. The team uses a program to facilitate this process. They accompany these candidates on a journey to Christ alive and present in His people. Together they learn Christian teaching, values and morality, develop a life of prayer and become alive in the Christian Community. RCIA classes take place on every Tuesday at 7 pm. If you would like to Join the RCIA In Trans Church, please contact the parish office and make an appointment with the Pastor. Knight of Columbus (Humber Valley Council) -Transfiguration of Our Lord’s Knights of Columbus – Humber Valley Council # 3945 – is one of more than 15 000 Councils Worldwide committed to the virtues of charity, unity, fraternity and patriotism. Our Council is proudly serving our parish and local community for many years now. The Knights of Columbus (founded 133 years ago by Venerable Servant of God, Fr. Michael J. McGivney on March 29, 1882) is the largest fraternal benefits society and lay order in the Catholic Church consisting of more than 2 000 000 Catholic gentlemen of which approximately 300 000 belong to its Honor Guard branch which brings further color and reverence to Church functions. While its insurance products are strictly voluntary and only sold to members, the hallmark virtue of the Knights are their charitable works – over the past decade approximately 1.5 billion dollars have been donated to charity. The Knights at our parish are one with the Magisterium of the Catholic Church, in solidarity with their priests, promoters for vocations, defenders of Catholic family values and life from conception to natural death. Join the Knights of our Humber Valley Council and we guarantee that you will grow in the faith while becoming a better person, husband, father and son. ShareLife – is a fund raising organization of the Archdiocese of Toronto. The funds collected support 33 agencies that are dedicated to easing the suffering and the problems associated with daily living. A fund raising campaign is conducted every year from March to June. Our parish uses the direct Mail approach rather than sending canvassers to each home. A letter from the Cardinal Archbishop is sent to every registered parishioner and they are asked to respond by using the ShareLife envelope for their donation by placing it in the weekly offertory collection anytime during the period between March and June.